Happy Day After Thanksgiving!!!! Also known as, “the day I get to sleep in and then organize my life”. I’m excited! But also, taking a break because I will always always bring you your TGIF posts. 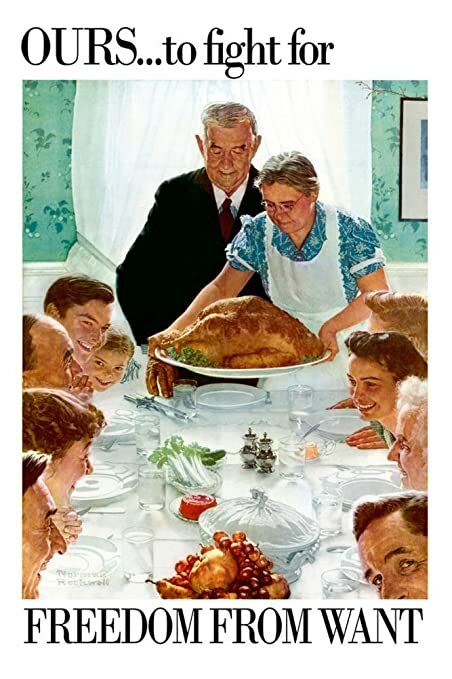 For those non-Americans, this is the deal with Thanksgiving. For reasons that I am sure some dedicated food historian has tracked down, there is a specific set menu of fall seasonal items that you must always serve. The exact version can vary, but you always MUST included these items. And after decades of aggressive advertising by green beans companies, sometimes green bean casserole. I’ll start with the easy one, Madhuri is obviously apple pie. Sweet, spicy, soft, seductive, everything. Amitabh is the turkey, the center of it all, the thing it all revolves around. Ayushmann Khurrana is Mashed Potatoes. Good on his own, and makes everything else around him test better too, all without really forcing you to notice the taste. Stuffing can be dry and bland and terrible, or delicious and the best part of the meal. So, I guess maybe Katrina? Because she does tend to vary greatly film to film, mostly depending on the preparation. Gravy. To be used sparingly, but always the best part. Shahrukh, I think. Salty, addictive, almost too rich, but you put it on top of anything and it will taste better. Also, kind of made from the drippings of the Amitabh turkey. Cranberries. Irrfan. Refreshing, different, an unusual flavor all of its own within the meal. Pumpkin Pie. Some people like it better than apple, it’s a little creamier and richer and goes better with whipped cream. Sridevi! And sometimes green bean casserole. It doesn’t really fit, and no one actually likes it, but there is so much promotion you just feel like you should try it at least once. Priyanka Chopra. So, what do you think? Agree or disagree? And are there any dishes significant in your family that I missed? This entry was posted in Uncategorized and tagged Amitabh Bachchan, Irrfan Khan, Madhuri Dixit, Priyanka Chopra, Sridevi, TGIF, Thanksgiving by mredlich21. Bookmark the permalink. Strong argument! You aren’t the only one who suggested that to me. But then who would be the salty savory delicious gravy that coats everything? Oh true, because gravy is something that covers and gives taste to everything. Though one. I would say the music, but it must be a person. I surrender! We would always start with homemade fruit cup – a delicious mix of nuts and fruits and lots of maraschino cherries. Nuts and fruits? Maybe Kangana? The meal always included a baked sweet potato casserole, shellacked with brown sugar. Sweet and tart like Prabhas? It ended with pie and a multi-colored and layered jello mold, filled with more fruit and nuts. It looked like something Ranveer would wear. I love all these additions! Especially Ranveer as layered jello mold with fruit and nuts inside. Oh I love all of these, and the additions! I have to say that I am a fan of green bean casserole, but only at Thanksgiving and Christmas, because it is a super rich dish. I actually do a home made version which starts from a real rue (browned butter and flour) instead of canned soup, and it does have a much deeper and more complex flavor. But I’m happy with green bean casserole matching with Priyanka, because when I like her, I really like her (Dil Dhadakne Do, Barfi, both of the new era Don’s). Who would be macaroni and cheese? Who would be dinner rolls (nice, soft, savory ones, not oversweet ones)? What dishes would Kajol and Rani be? Ajay? Ranbir? Hmm, mac and cheese….. Maybe Varun. Rich, almost too much, and a little cheesy. Savory dinner rolls, Nawazuddin. Not enough to fill up for the whole meal, but add a special flavor to it. Kajol, the wine with the meal. A little challenging, a little adult, an acquired taste that you come to love. Definitely not too sweet. Rani, a really good green salad. Refreshing, complex, different from the rest of the table but helps bring out all the other flavors.